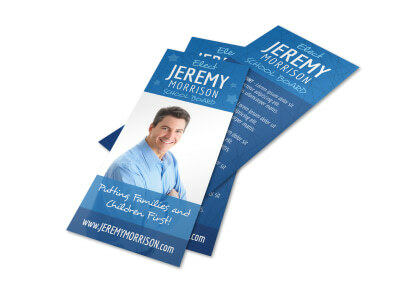 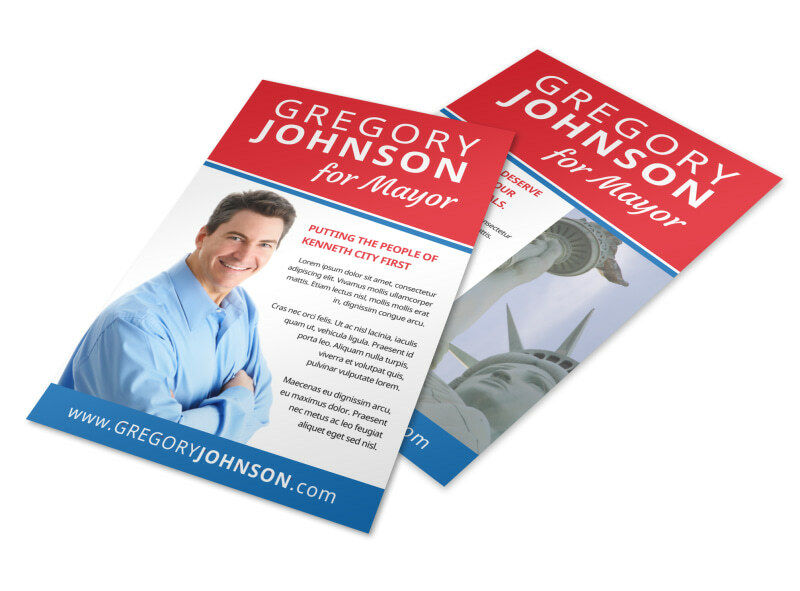 Customize our Campaign For Mayor Flyer Template and more! 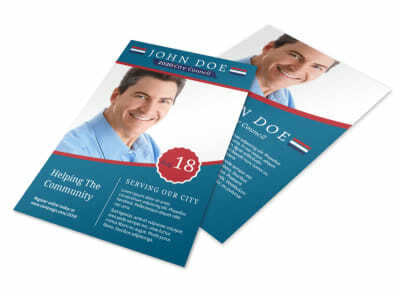 Reach the maximum number of constituents for the least amount of money with this customizable flyer for your mayor’s race. 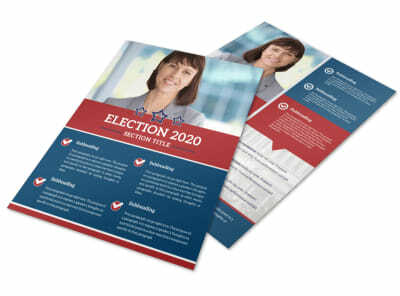 Use our online editor to easily and quickly add a headshot and your campaign slogan; you can also change up the color theme, font style, and other design elements if you so desire. 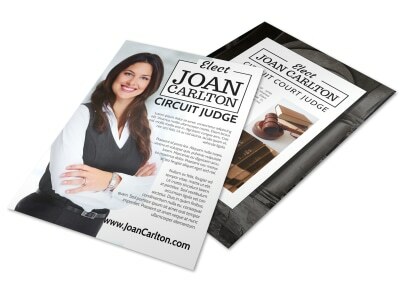 Prepare to rule your town and create your campaign flyer today!